Muntaser Hasan holds Master degree in Business from Nagpur University- India 1993 . 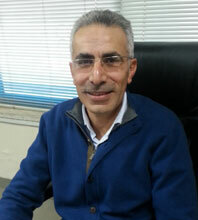 He has more than 20 years experience in multinational companies in Jordan. He joined Arab aluminum industry company in 2009 as Sales and Marketing Manager ; he oversees all activities of the sales and marketing department.